Are you dealing with issues like gas, bloating, constipation, nausea, fatigue, headaches, bad breath, belly fat, and skin problems? They all could be the signs of a toxic overload. Most people think that the word 'detox' involves fasting or using some special formula, but that is not true. Top homemade detox drinks can also help eliminate toxins from your body. You just need to know the ingredient and use correct recipes to get great results. Let's find out more about the ingredients you can use to help detoxify your body. There are a number of commercially available detox drinks, but you do not always need to spend that much of money. Moreover, it is important to check that those drinks do not contain any additives. 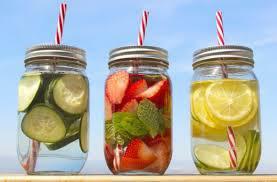 The best option would be to opt for top homemade detox drinks to facilitate the detoxification process. Here are some simple yet effective natural detox recipes. Take a handful of mint leaves and wedges from a lime. Now add them to a couple of cups of cubed watermelon. Blend well and drink it regularly for detoxification. Take a lemon and squeeze its juice. Now take a couple of tablespoons of pure maple syrup and add it to the juice. Take 1/8 teaspoon of cayenne pepper and add it to the lemon juice and maple syrup. Blend well to prepare your detox drink. Try a vegetable detox to help accelerate the natural detoxification process. To make your own detox drink, you need to take 3 carrots, 2 celery stalks, 3 kale leaves, 2 beets, 2 garlic cloves, ½ onion, ½ cabbage, and ½ bunch each of spinach and parsley. Add all these ingredients to the blender along with some water and turn it in. Your homemade detox drink is ready! Try dandelion tea for good effects. Add some dandelion flowers or root to boiling water and steep for half an hour. Strain the flowers and roots and slowly drink the tea. It works as a diuretic and helps cleanse the liver as well. Regular intake of green tea may also help detoxify your system mainly because it is rich in antioxidants. It also lowers blood pressure, reduces inflammation, and improves memory. Simply take some green tea leaves and add them to boiling water. Steep for about 10 minutes and add some lemon or honey for added flavor. Drink slowly to enjoy its detoxifying benefits. Cranberry juice may also serve as one of top homemade detox drinks. It prevents urinary tract infections and provides you with manganese, vitamin C, and antioxidants essential for detoxification. Simply prepare your drink using cranberry and add a tablespoon of psyllium fiber and pectin to it to help promote intestinal elimination. Apple cinnamon detox water may also help you lose weight and feel refreshed. Cinnamon works to increase your metabolism, which is helpful for anyone trying to lose weight. Fill up a liter-sized pitcher with water. Take thin slices of apple and some cinnamon powder. Add those slices and powder to the water, and mix well. You have your detox drink ready. Interestingly, you can use the same powder and apple slices for 3-4 times. 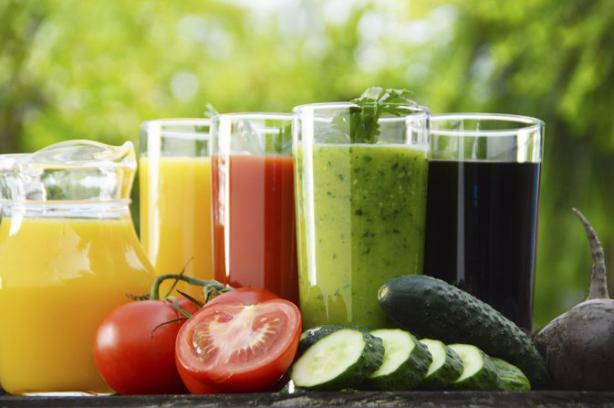 What you include in your detox drinks will have a huge impact on how they help with detoxification. Here are some of the most popular ingredients found in top homemade detox drinks. Watermelon: Quite low in calories, it helps rehydrate your body, lowers inflammation, and eliminates free radicals from your body. The presence of lycopene is another reason why watermelon helps detoxifies the body. It also provides you with magnesium and potassium that promote blood flow and support natural detoxification. Cucumber: Packed with polyphenol compounds, cucumber works amazingly well to reduce inflammation and fight free radical damage. It serves as a diuretic and promotes urine production, which in turn helps to cleanse your liver and flush out toxins. Lemon: It contains ascorbic acid, which makes it a great choice for detoxification. Most top home detox drinks would include lemon as well. Its vitamin-C content is also good for you digestive system, skin, and blood circulation. It improves your immune system as well. Lemon water is an excellent detox drink with numerous health benefits. Lime: A great way to make your detox drinks even more powerful is to add lime juice to them. Vitamin C in lime juice improves your immune system and boosts physical performance as well. Lime is beneficial for the liver because it promotes the activity of an enzyme called GST. Grapefruit: Even the aroma of grapefruit affects the fat metabolism, autonomic nerves, and appetite. The enzyme called AMPK is the reason why grapefruit is so effective for weight loss and detoxification. It improves your immune system and hydrates your body at the same time. Raspberries: Ketones found in raspberries help lower the impact of fat in a high-fat diet. It also supports your liver function and boosts your immune system. Studies have found that it also reduces the effects of aging by eliminating free radicals from your body. Strawberries: You can always include strawberry in your detox drinks because of its anti-inflammatory properties. Detox drinks with strawberries help slow down the aging process, whereas you also get much-needed vitamin A and C to facilitate the detoxification process. Mint: Detox drinks help because they provide you with antioxidant, and mint has the highest antioxidant content compared to any other food. It soothes your upset stomach, invigorates the senses, and promotes digestion. Ginger: The oily resin called gingerols is the reason why ginger may help detoxify your body. Not only does it help improve digestion, it also relieves bloating and gastrointestinal issues. Dandelion: It promotes urine production and also works as a natural laxative. It cleanses the liver and maintains the right flow of bile. Vitamin C in dandelion is extremely beneficial for upset stomach, loss of appetite, gallstones, and intestinal gas.